We are pleased to announce the first Waves plugins available for iOS devices: Three Waves plugins – Q10 EQ, L1 Multimaximizer and AudioTrack – are now available for exclusive in-app purchase in the Steinberg Cubasis app for iPad. 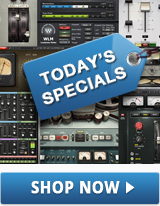 Waves now provides Cubasis with exclusive in-app purchases of three of its classic plugins: the Q10 Equalizer plugin, the AudioTrack channel strip plugin, and the L1 Ultramaximizer level maximizer/peak limiter plugin, enabling high-end studio quality on iPads. Each plugin can be purchased individually or together as a bundle from the Cubasis in-app store. To learn more about Waves plugins for Cubasis, visit our audio plugins for iOS page. Please note: the Cubasis in-app purchases of these three plugins are separate from purchases of the Mac/Windows versions of Q10, L1 and AudioTrack.